The sudden unanticipated change downward in body position with or without physical injury. How common are falls? 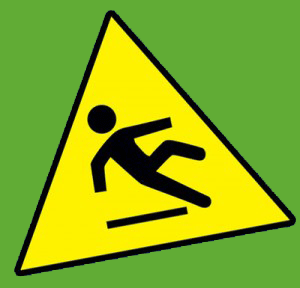 1 in 3 people aged 65 and over fall at least once each year. 20-30% of those who fall suffer injuries that reduce mobility, independence& in turn, increase the risk of premature death. An assessment by your physiotherapist can predict how likely it is that an individual will fall. In order to prevent falls we need: Good Balance, Good Vision, Good Reaction Timing, awareness of falling and enough strength to stay upright. There are prevention strategies that can be used that include a mix of exercises, medication reviews & environmental modification. Many studies have shown that an ongoing, well-disciplined exercise program focusing on balance-improvement (on its own) could prevent falls by about 40%. If you are new to exercise and have a major health condition, you should first consult your GP (for a small number of people there may be a medical reason for their falls). -At our clinic, the physiotherapist/Exercise Physiologist will assess you prior to designing your exercise program. -Exercise programs can be individually tailored and performed at home or in a group (although a combination of both is most effective).